After Nelson you leave the GSWW. 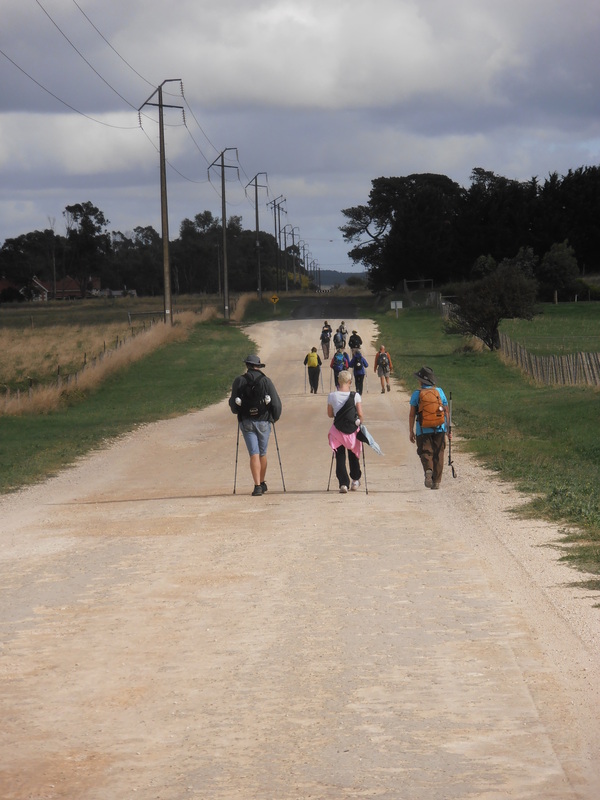 The first 5km is along the busy Portland-Mount Gambier Road. 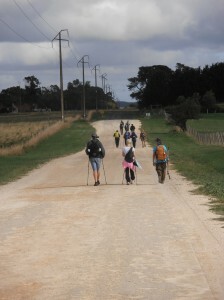 Walk on the left hand side of the road on the wide shoulder until you reach a clearing between the scrub and the fence line. This should take you until the VIC / SA border. After that the road clears and the shoulder is wider. After 2km you will reach Piccaninie Ponds Road. Take this all the way to the beach and start the beach walk. The walk along the beach can be very pleasant or difficult according to the weather at the time. 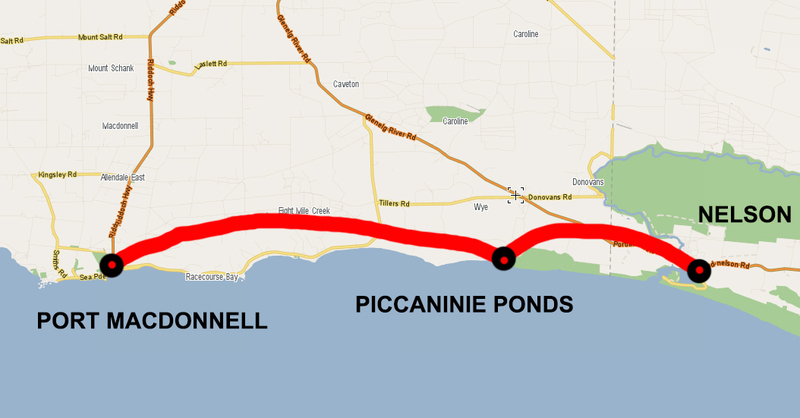 Look for the telegraph poles from the beach this will mark a carpark and a toilet block (which is not visible from the beach) Follow the telegraph poles along Eight Mile Creek Rd which takes you all the way to Port Macdonnell.